Which squad in Warhammer 40K video games is your favorite, intrepid Assault Squad, flexible Tactical Squad or powerful Devastator Squad? If you like the latter, the Warhammer 40K Devastator Marine paper craft should be able to catch your eyes. This is an awesome Warhammer 40K themed papercraft created by DaiShi. 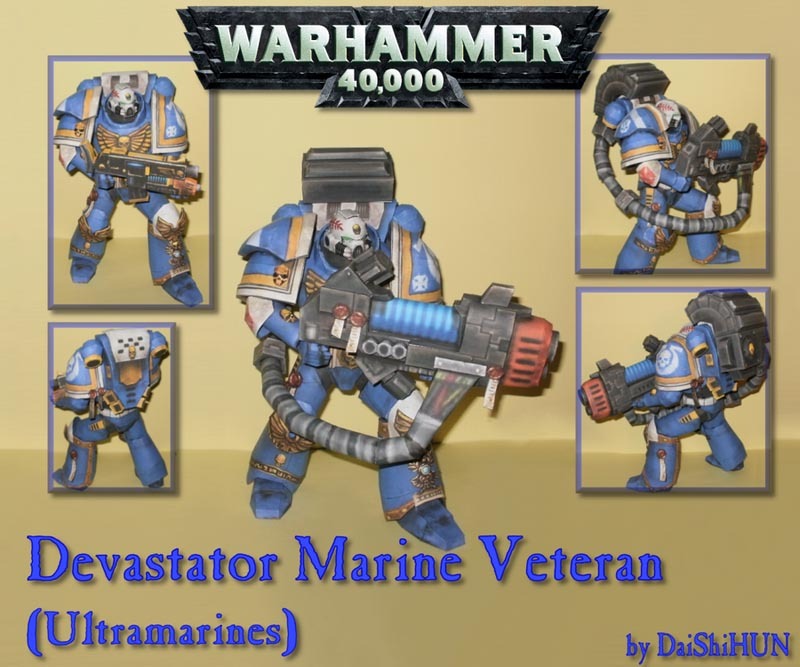 As we can see from the images, the papercraft is shaped as a Devastator Marine with a heavy plasma gun, and comes with detailed textures and accurate color scheme originated from Ultramarines in Warhammer 40K Dawn of War 2: Retribution. In addition, the paper craft measures 30cm tall, for those fans who don’t like the plasma gun, the Devastator Marine also has an M36 Mentor Combi-Plasma look-like. If you also want to own the Devastator Marine papercraft, jump to DaiShi’s DeviantART page for the template of the paper craft. Additionally, if you need more options, you might like to check these cute Warhammer 40K themed papercrafts.